MACGuard® – Commonwealth Water Treatment, Inc. If removing chlorine from water or eliminating other unpleasant tastes and odors is your main concern, the MACguard carbon filter is an excellent choice. The MACguard Filter doesn’t take up precious counter or refrigerator space, or attach clumsily to your faucet. Unlike other carbon filtration systems, it fits and operates conveniently out of the way—under your sink or from some other location. 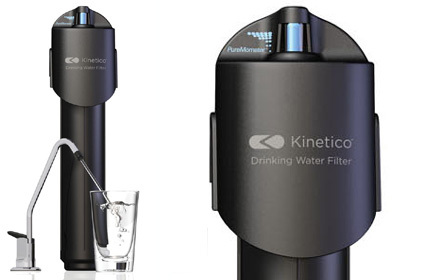 Plus, it includes a dedicated, lead-free faucet for dispensing its refreshing filtered water. With MACguard, you won’t worry about using your cartridge too long, a common problem with carbon filters that can actually degrade your water quality. The PureMometer® filter life indicator shows you how much of your 500-gallon filter capacity remains. When a filter change is necessary, the system alerts you by reducing the flow of water from the faucet. Changing the cartridge is quick, clean and easy. 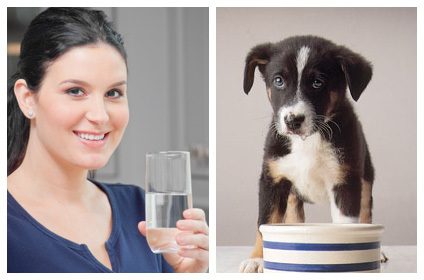 The MACguard Filter is the most affordable solution for improving your drinking water. It’s a good first step to getting higher-quality water, and you can always upgrade to a more advanced system down the road.